It has been a while since I've posted anything. It has been really busy with all the schools starting. I will still put up more pictures from my trip to Venezuela working with El Sistema hopefully in the next couple of weeks. Plus, I just finished a new piece for trombone and wind ensemble called "One Trek". I will premiere it on February 15th in Jordan Hall with Charles Peltz conducting the NEC Wind Ensemble. More details about the piece will be coming in another post. Since school has started, I have seen people over extending themselves. This has led to wrecked chops and with that a bit of a depressed state. It can be hard to juggle all the various playing responsibilities we have with ensembles, lessons and our practice time. Knowing when to STOP is absolutely vital. Knowing when to have shorter practice times is vital. Knowing when and what to practice according to how we our feeling needs to come into it too, especially if fatigue and strain are becoming a daily feature. Play, feel-think, play. This means play something, then 'listen' to what has happened. Be simple but thorough. Play it again, take the mouthpiece off, and remember what you just did. Ask yourself, was it closer or further away from your desired result? If you have mashed up your embouchure, take care to go slow. Warm-up, carefully using your air support. When our chops get hurt we can often get very preoccupied with them and forget about our air support and mental concepts to help us in our playing. Always connect to your love and reasons why you are in music. Take the time to listen to music you love or want to get to know better. This will keep you mentally and emotionally more satisfied. You might want to think about what your practice sessions each day. Perhaps you need to have an alternate day schedule with certain things. High range every other day. Extreme loud on another day with lots of breaks making sure there is not undue strain in any part of the body or embouchure. And plenty of soft playing. This I know takes patience, especially when there is a lot of music to learn, or we really want to improve at a more rapid pace. Remember the golden rule: Start with what you can do and GRADUALLY extend from there. Even if it is what you think is too slow or elementary. 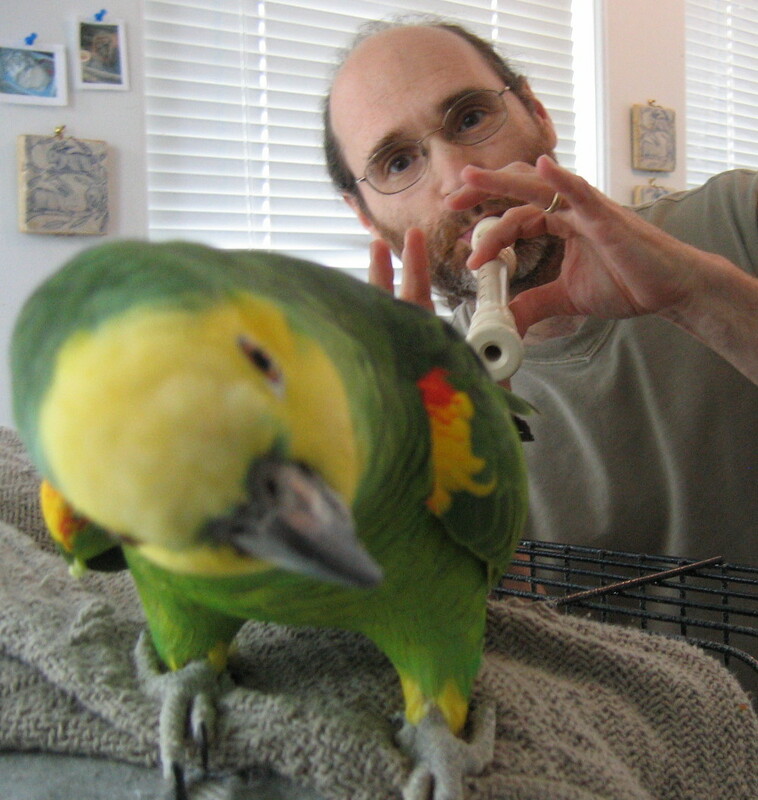 Your embouchure will be very thankful to you for doing this and will recover sooner then it would otherwise.